With an interesting oblong design and a thin low end, the Specter EFITZ may or may not be your thing, read the full review for more. With the Specter EFITZ wireless Bluetooth sport headphones, you will no longer have to struggle with wires and bulky headphones while working out. Sure, earbuds have been around for some time, but the tangle of wires connecting you to your device was still a problem. 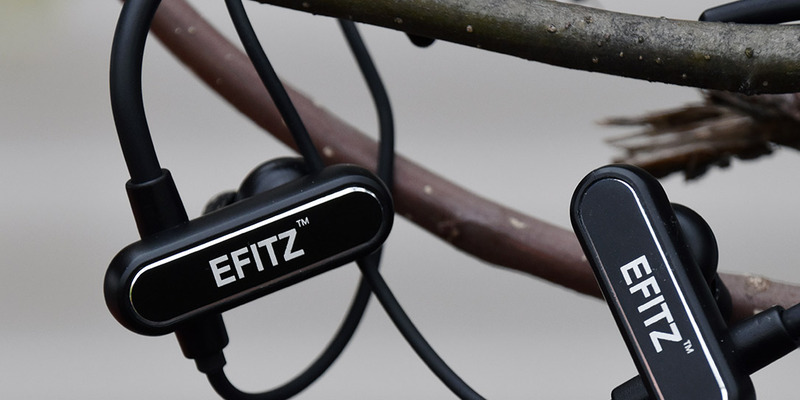 With the EFITZ Bluetooth headphones, your device is finally free, and you are able to do what you will without the burden of wires. 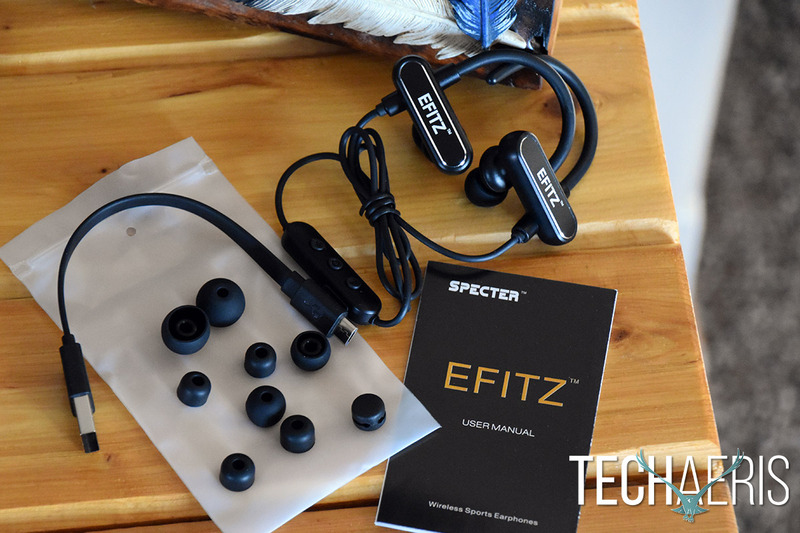 The sound, the design, even the packaging of the Specter EFITZ wireless Bluetooth headphones is… well, keep reading on for the whole review. The design is subjective, you may or may not like the look. When I first received the Specter EFITZ wireless Bluetooth sport headphones, I was amazed at the how posh the packaging was. Since these are billed as “sport” earbuds, I was expecting minimalistic packaging. Upon opening the box, the EFITZ were presented in a grand manner. They sit nestled in their container almost as if it were jewelry being presented on a grand occasion. I couldn’t help but smile as I reached eagerly into the box. I noticed right away that the EFITZ are very small and lightweight, just what you need for listening to music while on the go. They have an oblong housing that sits on the outside of your ear while worn. The housing is rather large and may put off some buyers due to its size and the fact that it sits so prominently on the side of the head. The housing includes a plastic hook that goes over your ear to keep the headphones in place. I do wish that these hooks were adjustable to accommodate more ear sizes, as they did at times feel a bit loose. I also noticed that the hooks tend to get in the way when wearing glasses. As I took my glasses on and off, they had a tendency to knock the headphones loose. The headphones are black with a chrome accent around the perimeter of the housing. The EFITZ name is also printed in white on the outside of the housing. The design would fit right in with the opera crowd or at the office. Of course, they would not be out of place at school or in the gym either. The Specter EFITZ wireless Bluetooth sport headphones certainly do have a unique styling. You will have to decide if this style works for you or not. A single wire connects the left and right earbuds, and a controller sits on the right side just below that earbud. The wire sits on the back of your neck when worn. This helps keep things out of the way while wearing the EFITZ. All in all, this design makes for a very small unit that really does not get in the way while you go about your daily routine. 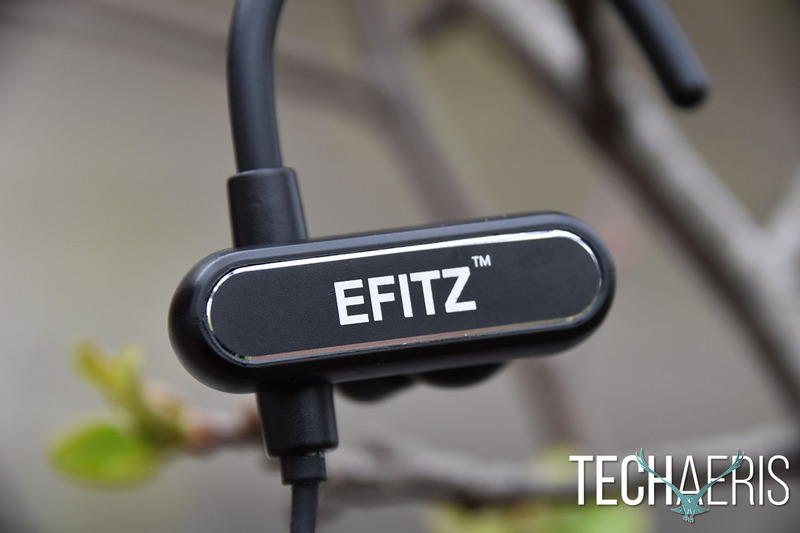 When it comes to setting up the EFITZ Bluetooth headphones, it’s as simple as you would expect. Turn the headphones on, then hold the power button until you hear a voice tell you pairing mode is activated. Make sure Bluetooth on your device is on, select EFITZ from the list, and you are ready to go. The single controller is easily reached and only has three buttons for controlling all the functions of the headphones — volume up, volume down, and a multifunction button. There is also a charging port on the controller. One issue I did notice with the port was with the attached rubber seal that covers it while not plugged in to charge. While handling the headphones, the seal did not want to stay in place and kept coming loose. While this does not affect the sound, it could lead to debris or water getting into the charging port. Once I got the EFITZ Bluetooth headphones fit properly with one of the many choices of ear tips, I noticed that the sound seemed a bit weak. The sound is very clear, and as advertised, not once did the signal skip or drop. But it was lacking any strength. The bass didn’t even show up for work. You can hear it, but you don’t feel it even slightly pounding through you. If you are one who enjoys thumping bass that you can feel, these may not be the headphones for you. The EFITZ also offers noise reduction via CSR’s cVc. This technology is designed to enhance audio and offer noise suppression for voice communications. 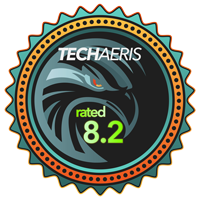 I tested this and it did a very good job of canceling out ambient noise, music, and voices. Although cVc is designed for voice communications, just the fact that it suppresses noise makes it beneficial for listening to music. The bass could have been better. 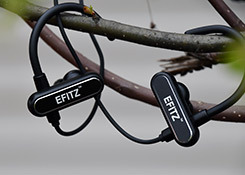 The operating range of the EFITZ Bluetooth headphones is advertised as 33ft. I was only able to get 25ft away from the source before the reception started to drop. I tested this with a clear line of sight to my device and no other electronics on in the vicinity. I truly do not like taking calls on headphones; it’s just not my thing. But calls on the EFITZ sounded so remarkably well, I actually enjoyed using these headphones to make calls. I was able to converse at a regular voice level and the other party had no problems at all hearing me. I’m sure this is where the cVc technology discussed in the previous section comes into play. Calls sounded very clear to me and once again the signal never dropped or skipped. I doubt I’ll be using these headphones for calls in public, but when I get put on hold for 30 minutes at home, these will be great. The advertised music playback time is 10 hours. I ran the duration test with a full battery charge, the volume set at half, and the source no further than 2 feet from the headphones. I was able to get 7 ½ hours of listening time before a voice came over the headphones and announced that the battery was low. It kept announcing this every couple minutes until it shut itself off after about 10 minutes. I think the battery life could use some work, especially with an advertised 10-hour life, but battery life will vary with volume and distance from the source. 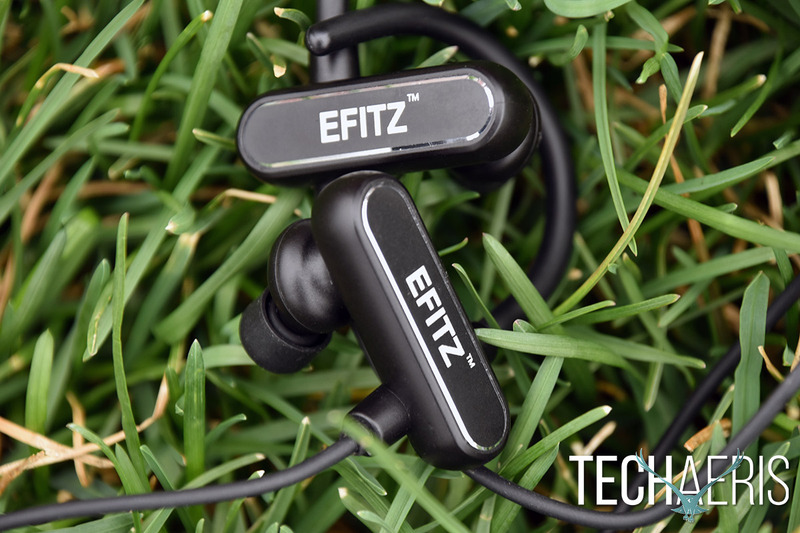 The EFITZ Bluetooth headphones have an MSRP of $95.95USD. If the EFITZ had no issues, I would say the price was reasonable. With the few niggles that plague it though, I feel they may be a bit overpriced. These headphones offer good sound quality and noise cancellation in a very small form factor. The styling could be a bit polarizing, there were a few issues that I ran across during testing, and the bass is a bit lacking. Overall, I would say the Specter EFITZ should appeal to people as sports headphones due to the fact that they would make working out with headphones easier. These may not be an audiophile’s headphones, but I’m not sure that’s the purpose for which they were designed. Battery life is also something to consider as I was only able to get 7 ½ hours. *We were sent a sample of the Specter EFITZ for the purposes of this review.